Receipt from the W.L. 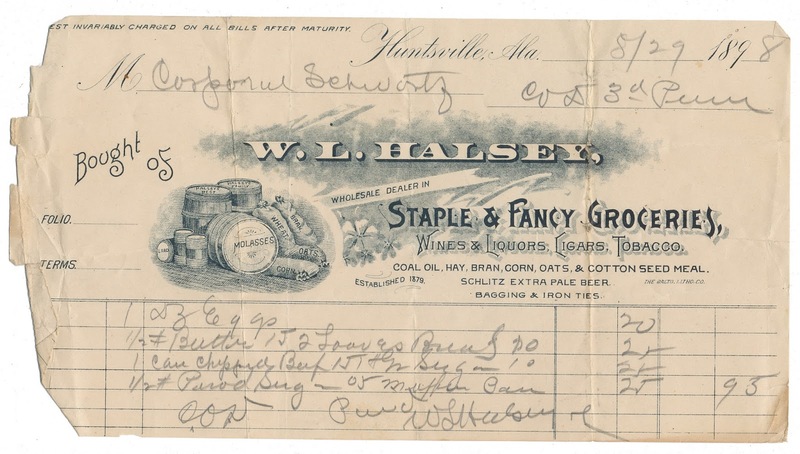 Halsey company, a "wholesale dealer in Staple & Fancy Groceries, Wines & Liquors, Cigars, Tobacco..."
The receipt is dated August 29, 1898 in Huntsville, Alabama. Found in "New Elementary Algebra" by Charles Davies. 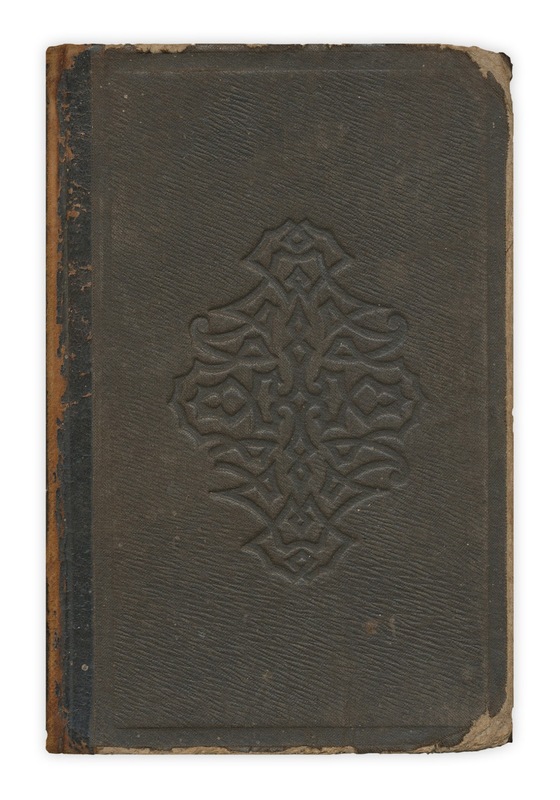 Published by Barnes and Burr, 1865. This business is still operating in Huntsville. Nice find! That's pretty neat! I'm from Huntsville, AL, and am surprised to see something from the area show up in your neck of the woods! According to their website the building is http://www.halseyfoodservice.com/images/location1_small.jpg Cool nice to see history is still living (because the grocery store is (like my joke? )).